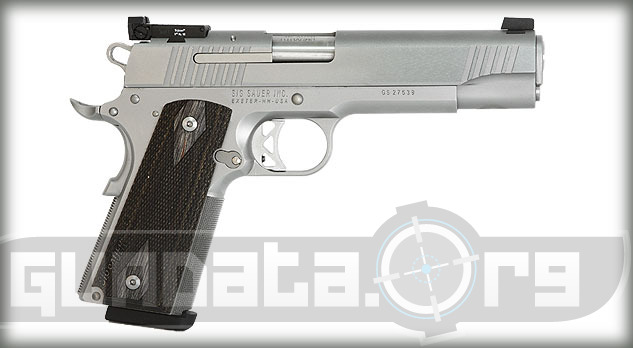 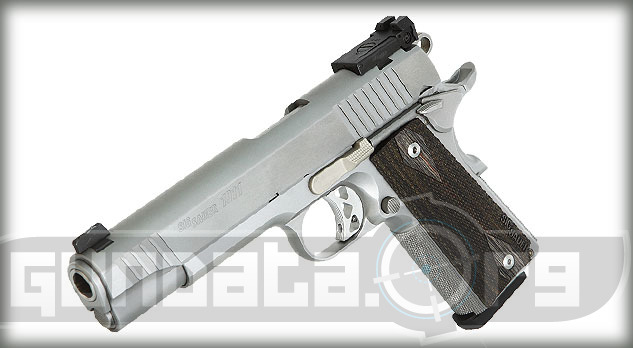 The Sig Sauer 1911 Traditional Match Elite Stainless is a larger design of the traditional 1911 model that features modern updates to certain aspects. 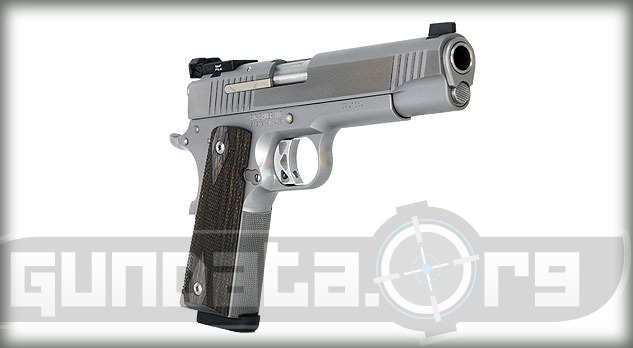 The 1911 has a natural stainless slide, ground side flats, serrations on the slide for easier grip on chamber loading, and custom wood grips. 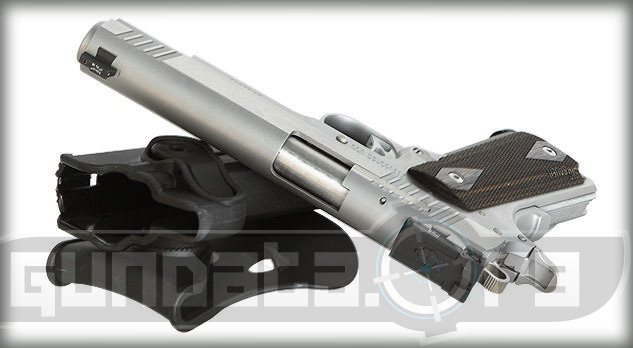 It has a 10-round magazine capacity that fires 9mm or .40 S&W ammunition.